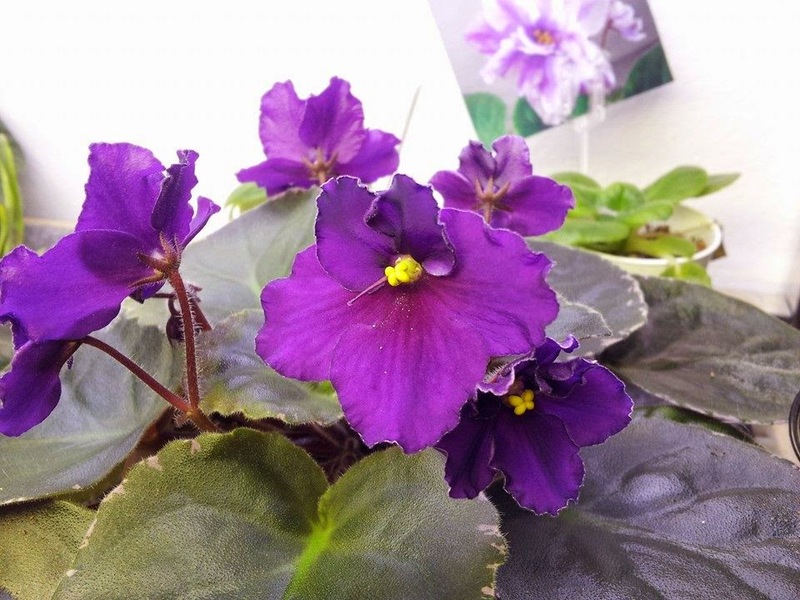 I haven't posted much for a long time because I was having such a difficult time with my violets that it was depressing to come here and see all the successes. We've moved to a better apartment where our temperatures are better regulated and I recently acquired two light stands, which have made all the difference in my plants! This is Judie's Satin Doll. It was hybridized by a local woman and I fell in love with it as soon as I saw it. I've had this plant for 1 1/2 years and it's a tough one in order for it to have survived the heat and the cold that it was subjected to! It finally bloomed for me back in June. One blossom but it was enough to remind me of how beautiful she is. That blossom faded and then it bloomed again. This time there are many more blossoms... the pollen on the petals aren't due to any bugs. This one is ripe for hybridizing if I had something I wanted to cross with it!